There is a bitter irony at the heart of Russian President Vladimir Putin’s annexation of Crimea. Putin’s short-term victory is already coming at the expense of his most cherished long-term strategy - the creation of a Eurasian Union, a trade union linking Russia and its closest neighbors, writes foreignaffairs.com. In other words, as the invasion expands Russian territory, it will diminish Russian influence in the very places he’d like to increase it. One need only look to Belarus, which is already beginning to hedge against its alliance with Moscow, to see why. Fanciful as it might sound, the Eurasian Union was never idle talk for Putin. It was meant to serve as a genuine alternative to the West for the countries bordering Russia, including those on Europe’s eastern frontier. For now, only Belarus and Kazakhstan have volunteered to be part of the formal January 2015 launch. But Putin has been closely eyeing other countries in the region, particularly those that have been targeted by the EU’s Eastern Partnership program, which was designed to foster closer ties between the EU and Armenia, Azerbaijan, Belarus, Moldova, Georgia, and Ukraine. Russia’s invasion of Ukraine has exposed the strategic ambiguity of Putin’s project. Russia liked to emphasize that the Eurasian Union would serve as an equal partnership among its member states and a vehicle for each to better pursue its political and economic interests. But Moscow’s interests suddenly seem much more expansive than they did just a few months ago. Putin has justified his Crimean gambit with a vast but vaguely defined "responsibility to protect” doctrine. No one knows whether Putin now intends to back up the doctrine with military force, or even whom he aims to protect: ethnic Russians, Russian speakers, or any people at all that Russia thinks might need help. Russia’s partners are understandably spooked. Early in the Ukraine crisis, when pro-Western protesters were camping out in Kiev, Aleksandr Lukashenko, Belarus’ president, seemed happy to see Russia encourage the Ukrainian regime to crack down. Like Putin, he had no desire to see Ukraine’s fellow Slavs in Russia or Belarus copying the slogans and tactics of the Ukrainian protestors. (Lukashenko is still scarred by the demonstrations that followed the controversial 2010 elections, in which he won a fourth term in office.) But Russia’s military intervention in Crimea was a very different matter. Lukashenko pointedly refused to send observers to Crimea’s March 15 referendum. He has also defied Moscow by saying that he will work with the new pro-Western government in Kiev (which Putin has described as "illegitimate”). Even if it is unlikely that Russia would invade Belarus anytime soon, Lukashenko does have reason to worry about the consequences of joining Putin’s Eurasian Union. 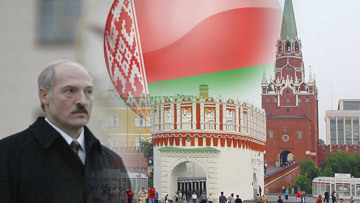 For one, Lukashenko may already sense that the Eurasian Union won’t be the economic boon for Belarus that he had once imagined. Although he may have hoped that it would provide an open market for cheap Belarusian goods, its precursor, the Customs Union, has so far underscored that Belarusian goods have difficulties competing in a free market, even with goods produced in Russia or Kazakhstan. Further, even as Russia talks of creating a mutually beneficial partnership, it has been trying to weaken the states around itself. Ukraine is not the only such example. another weak leader challenged by domestic revolt, often fomented by Russia, who then becomes dependent on Russia to survive -- as Yanukovych would have become if he had not overreacted to the protests in Kiev and been forced to flee, or as Serzh Sargsyan has already become in Armenia. Even worse, Lukashenko knows he could end up as a tin-pot dictator of a mini-state, like Yevgeny Shevchuk, the president of Transnistria, or Sergei Aksyonov, the new prime minister of Crimea. Above all, Lukashenko wants to avoid having to make a decision between Russia and the West. He has always been happy to be Russia’s ally, but only as the leader of a strong, independent state capable of steering its own course. The key to his staying power -- he has led Belarus for nearly 20 years - has been his ability to make the case, to his audience at home as well as in Russia, that he holds some bargaining power with the Kremlin. Belarus benefits greatly from Moscow’s assistance in the form of cheap oil and gas, and other Russian subsidies and scams that are estimated to add over 15 percent to Belarusian GDP. But, in exchange for that help, Lukashenko has provided services. He has made money for Russian oligarchs in transit trade through Belarus, supported Putin’s historical revisionism about the Soviet Union, and put down any hint of civil unrest that could spread to Russia. He suggests that no other Belarusian leader would be capable of doing the same. Lukashenko’s economic model also depends on good relations with countries in the European Union. Belarus can’t afford to lose its trade relations with Latvia and Lithuania, for example. But Russia’s aggression in Ukraine - and Putin’s suggestion that the competition in the region is zero-sum - is now threatening to put those relationships in jeopardy. With a massive ethnic Russian minority population of its own, Latvia in particular understandably feels threatened by Putin’s Crimean gambit. Putin may not worry about worsening trade ties with the Baltic states, but Lukashenko must. Russia’s annexation of Crimea could also have other costs for Belarus. In order to keep Crimea afloat, Russia will have to make substantial investments in transportation, water, and gas infrastructure. The money used for those investments will not be available for further Belarusian subsidies. If Russia’s invasion leads Europe to change its energy policy, that will also have a negative impact on Belarus. The Belarusian economy depends largely on its status as a transit hub for Russian oil heading toward the EU. Belarus’ biggest single source of income is its sale of refined petroleum produced from subsidized Russian crude. Sanctions on Russian oil, or increased oil production elsewhere that reduced oil prices, would hit Minsk hard. It should not be surprising that Lukashenko has been demonstrably edging away from Putin in recent weeks. Belarus has started hinting that it wants better relations with the EU, agreeing in February to participate in visa negotiations with Brussels. But any shifts toward the EU are going to be a gradual process; Lukashenko is still a dictator, after all, who has little interest in meeting Europe’s democratic standards. For now, Lukashenko is inside the Russian tent looking out. And he is not about to head for the door just yet. But ever since Putin’s aggressive takeover of Crimea, Lukashenko has been more anxiously looking toward the exits. Russia cannot afford to gain Crimea while losing more post-Soviet friends. Yet that is precisely what its behavior will do in the longer run. Countries like Belarus and Kazakhstan may eventually be obliged to recognize Russia’s annexation of Crimea - if and when Russia absorbs the territory, they will have no choice. But those countries’ current silence speaks volumes about their present worries and future plans.